Adding to the mesmeric look of the piece of ear jewellery square measure the red teardrop hangings connected to the bottom of studs. 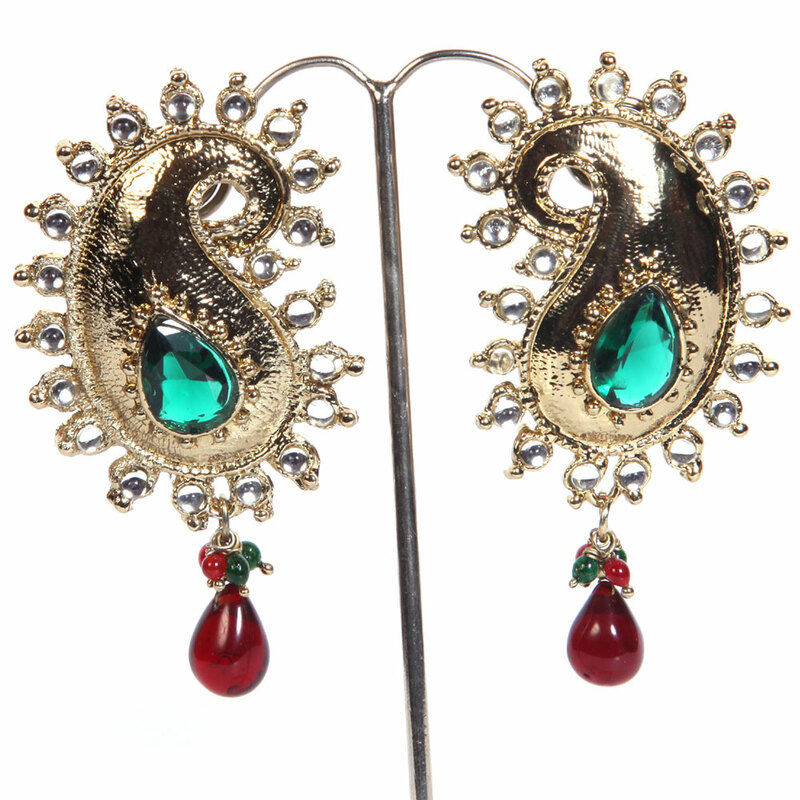 The elegant beauty of this pair of designer earrings comes from the peacock shaped studs that are adorned with green central piece and dazzling white Read More..stone work. Adding to the mesmerizing look of the piece of ear jewelry are the red teardrop hangings attached to the base of studs. Show Less..